Amber Jewelry has always intrigued me. I love the vibrant colors and unique shapes and textures of the pieces. This line of Baltic Amber necklaces and bracelets are from Lithuania. 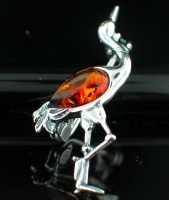 All the amber is natural and the colors are truly stunning as are the prices. The amber beads are strung on strong cotton/ Nylon thread. The clasp is very practical and unique - each necklace has two identical 'clasp beads' - one contains a plastic screw and you very simply screw the bead clasps together to close the necklace. Very easy and intuitive. 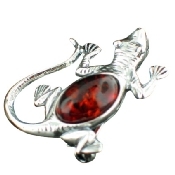 You will notice a few of the designs are significantly higher priced ($9-$14) - the reason is that these rounded amber beads are much more costly as more work involved in the refinement.